Are your ProHeat Spray Tips broken, missing, cracked or clogged? You may need a new set of Bissell Proheat or Power Steamer Spray Tips 210-6107 to get your carpet cleaner back into service. 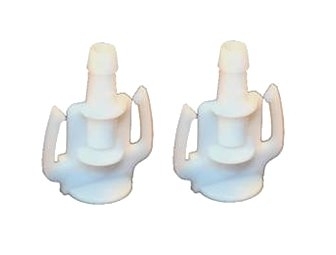 This is a set of two replacement spray tips that will help restore optimum cleaning performance to your carpet cleaner.